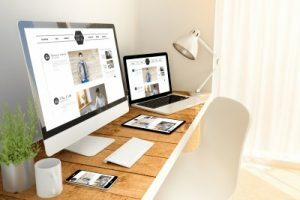 For over a decade, the website design and digital marketing experts at Design & Promote have been developing comprehensive web solutions for Naperville businesses. Having a website is a good start, but to get the most out of your site, you need to have solutions that address all facets of marketing on the internet. There are many aspects that go into internet marketing and the experts here at Design & Promote can help you address those aspects and create tailored solutions to help you in areas that need it most. If you have any questions about our web solutions in Naperville or if you would like more information regarding our other internet related services, call us at 630-995-7109 today. You can also get in touch with us by filling out the contact form located on this page and we will respond to your inquiry as soon as possible. Web solutions is a broad term with the intent of covering as many facets of internet needs as possible. Here at Design & Promote, our website solutions entail the more technical aspect as well as the marketing aspect. We provide hosting services with and our servers have a 99.999% up-time so you can be confident that your site will always be up and running. Many web browsers and search engines are now encouraging website owners to make their sites more secure utilizing SSL and we can make sure your site is secure to give your site’s visitors confidence when they enter their information into your site. Website solutions also include services such as Search Engine Optimization, Pay Per Click, and more to give you an encompassing strategy to increase your website’s visibility in order to direct more online traffic to your website because simply having a live website isn’t enough in the competitive world of the internet. To learn more about web solutions and how they can help strengthen your online presence and give your website users peace of mind, give us a call today at 630-995-7109. Or simply fill out the contact form on this page and we will respond shortly.